Short Guide No 9: Our Musical Resources are Limited; What Can We Sing? Successful congregational singing entails careful, imaginative organisation. We need not emulate the local choral society but our singing must be the best we can offer; nothing less will be good enough. Distinguish between general and seasonal material; the familiar and the unfamiliar; and music for intimate gatherings and for more formal liturgical celebrations. Consider who might feel challenged by new songs and hymns. Fashions change but favourites learnt at school often reappear at weddings, and, even later, at funerals. Next, if appropriate, draw up either a detailed list of hymns and songs to be used over the next 3-6 months, or a core repertoire on which to draw. Do not be afraid to include some new or unfamiliar material. Wherever possible, collaborate with preachers and others involved in leading worship. Most instrumentalists require plenty of notice of what they are required to play. What are your actual musical resources? Who loves to sing, plays an instrument, or has technical ability on the sound desk? Who are the regulars? Do your numbers fluctuate? Will some singers and musicians be willing to participate on an occasional basis? Do you have local links with schools or other churches? Who are the leaders? Who has the ultimate responsibility for directing music in your church? Is your list of musical resources longer than you originally envisaged? Good! We tend to rely on instrumental support for our singing, but let’s start with using the voice. Unaccompanied singing can be highly effective. Some songs are more suitable than others, so a careful selection must be made. Have the singing initiated by a confident singer who can judge the appropriate pitch for the occasion and lead effectively. This singer must be both audible and visible. The starting-note is critical, but need not be the same as in the book or on the CD. Is a microphone necessary? If so, it will need to be correctly positioned. A succinct background to the hymn or song should be given; then it needs to be presented either by an individual or by a group of singers, backed up by instruments if available. Teaching line by line, in a follow-the-leader fashion, is most effective. Sometimes it helps to teach the words first, using the exact rhythm of the tune. A melody line can then be reinforced by hand gestures indicating the rise and fall of the tune. If there is a chorus, this can be the time to encourage everyone to participate. Of course, new words to existing music are easier to manage than totally new music and words. Much will depend on the structure of the song. Taizé-type chants and songs with memorable choruses can be picked up relatively quickly. Most adults learn better from words clearly laid out in a service paper or screen. Do not discount the value of reproducing melody lines: congregations are often far more musically literate than they care to acknowledge! Organs, pianos and keyboards are traditionally used to accompany singing; these need to be played competently and sympathetically, to introduce and then illustrate the words. Keyboard players who are not experienced accompanists should be encouraged to develop their skills. Publications which provide support for this include Anne Marsden Thomas: The Organists’ Hymnbook (Cramer) and Daniel Moult (ed): The Complete Church Organist, Level 1 (RSCM). Electronic keyboards are most effective when played through a sound system which is regulated to avoid feed-back and other intrusive sounds. Most electronic keyboards have a built-in facility to transpose into another key. Guitars are well established as accompaniment instruments and are almost always used in conjunction with voices. Most worship songs are provided with chord symbols, though hymn tunes do not always lend themselves to chordal accompaniment. Players will be familiar with using a capo to transpose music into other keys. Single line instruments (e.g. flute, violin, recorder or saxophone), can certainly lead congregational singing, but these players are not necessarily used to accompanying worshippers; they will need to be encouraged and guided in order to bring out the best in their playing. Carefully blended use of a sound system can greatly enhance their usefulness. Groups of instruments, in a worship band or music group, have great potential to lead worship, but parts have to be devised and written out well in advance for such a group to be effective. Introductory guidance can be found in Ian Sharp: Using Instruments in Worship (RSCM). Help is at hand to develop the skills of all church musicians. o There are often local courses for beginner organists; churches should consider providing bursaries for students. o The RSCM’s Church Music Skills programme is specially designed for any leaders of worship who wish to improve their practical skills. The flexible study scheme includes units on hymns, worship songs, and chants and short songs. o John Bell’s books, The Singing Thing: a case for congregational song and The Singing Thing too; enabling congregations to sing (GIA Publications) are invaluable practical guides. Several digital accompaniment machines are on the market, giving access to thousands of tunes in a range of styles. The flexibility and quality of these products is improving all the time and many churches find them an invaluable substitute for the live music-making once taken for granted. Churches considering investing in this technology would be well advised to try out the system in their own location. If recorded accompaniments are used as a matter of course there is a risk that individual musicians (especially beginners) are less likely to offer their services. Recorded music abounds: tapes, CDs, downloads, iPods and similar devices can all help with learning new music or accompanying live singing. Some very useful material has been produced by the Worship Workshop of the Church of England; for downloads including printed music see http://www.worshipworkshop.org.uk/. Ian Sharp September 2012 © The Hymn Society of Great Britain and Ireland. For more in this series, please click here. Opinions expressed in this paper are not necessarily those of the Hymn Society of Great Britain and Ireland. 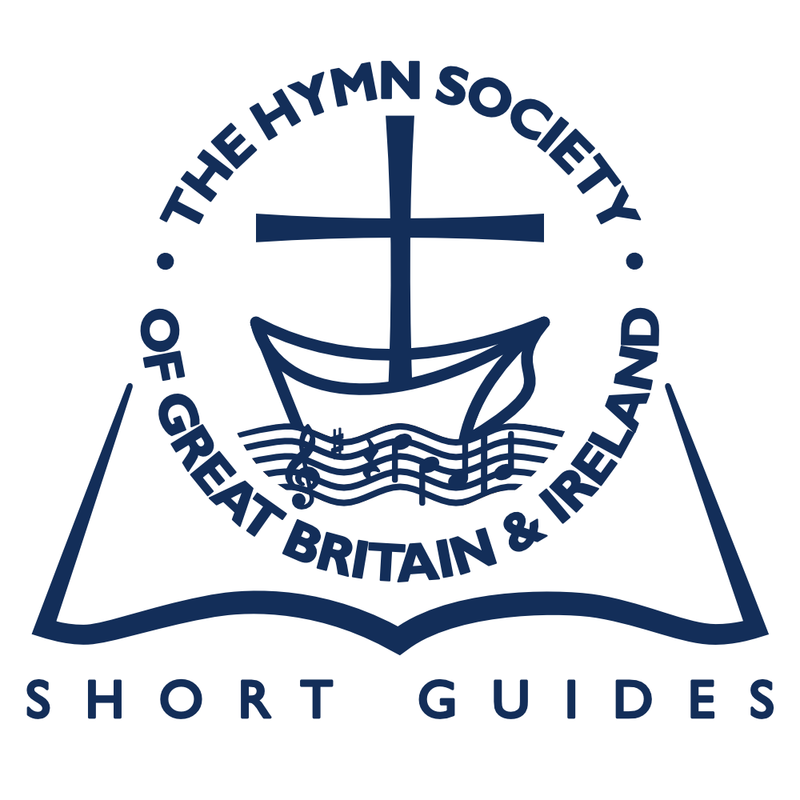 Short Guide No 1: What is the Point of Singing Hymns? Short Guide No 4: Which Hymn Belongs Where in the Service? Short Guide No 6: What Makes A Good Hymn? Short Guide No 7: What are the Best Places to Find Hymns on Specific Subjects? Short Guide No 10: What are the Pastoral Considerations when Using Hymns? Short Guide No 12: How can we Introduce New Hymns and Songs? Short Guide No 15: How does the choice of tune affect a hymn? Short Guide No 16: What are the Relative Benefits of Hymn Books, Service Sheets or Projectors? Short Guide No 19: What is a Hymnal?